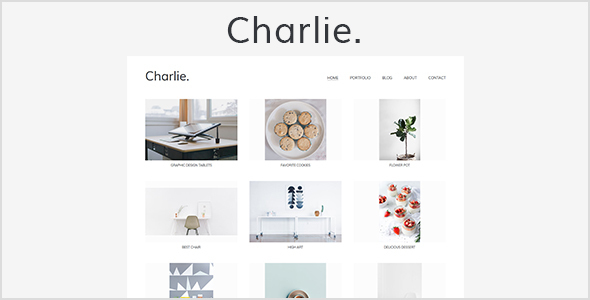 Charlie is a Light, Clean and Minimal Creative Portfolio WordPress Theme for people who want show their beautiful works. Theme was designed with a combination of pure elegance and attention to details. Note: All images are just used for preview purpose only and are NOT included in the final purchase files.